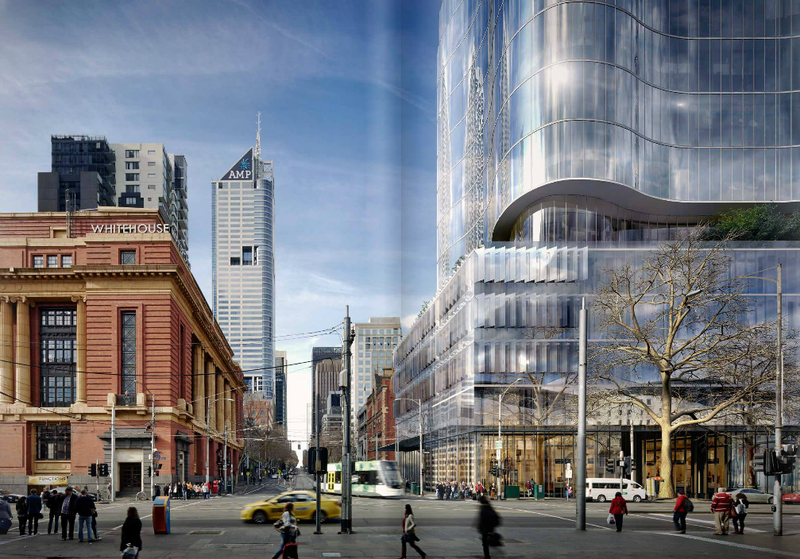 I hope whatever proposal is there has some nice podium facades because that end of Bourke is actually quite nice with the older brick and stone buildings. Hopefully no pre-cast in sight and activated walls surrounding the eventual podium carparking. Godfrey Ln could turn out quite nice if anything is at street level at the rear of the building. I'd love to see some serious retail inside the podium with this one. Directly opposite SXS there is no excuse. Throw on a few LED screens and billboards and then you'd have an awesome development! My bad, forgot there was already a topic for it. 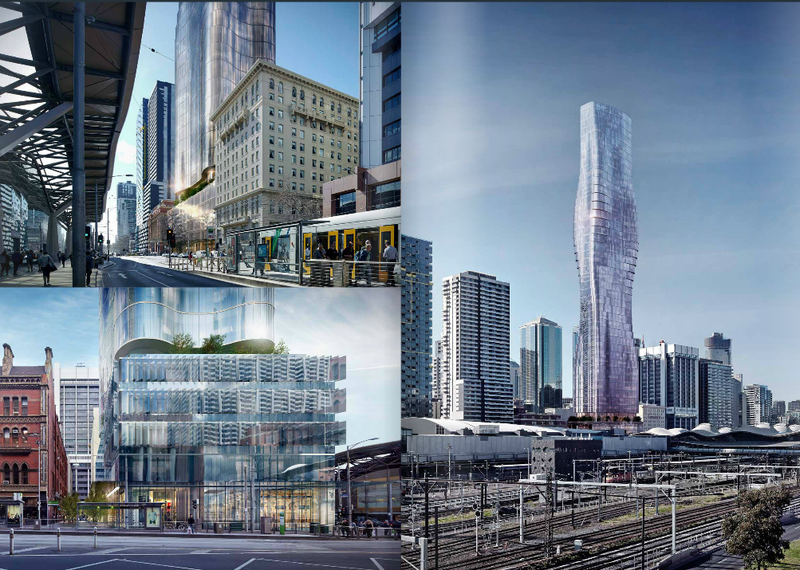 Still, interesting design and it looks like the podium will be wrapped and not just carparking, which is a nice change. Age personnel would have found a nice home working for the Soviet Gulags! 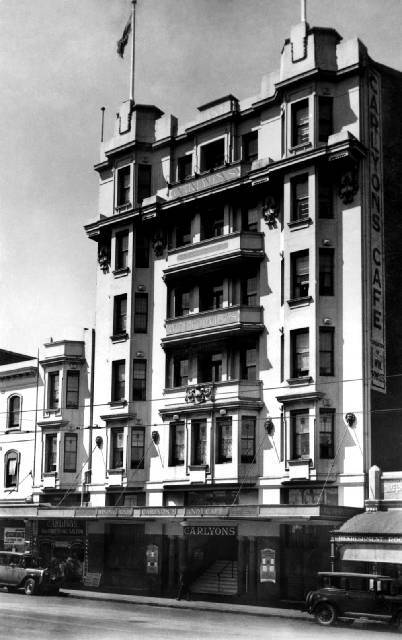 What used to be there many years ago, Carlyon's Hotel. '68 storey tower' & '226m' reported by the hun, we'll see. Just received the Minister's media release - immediately after the release of the "better apartments" discussion paper. Much better at the new height. 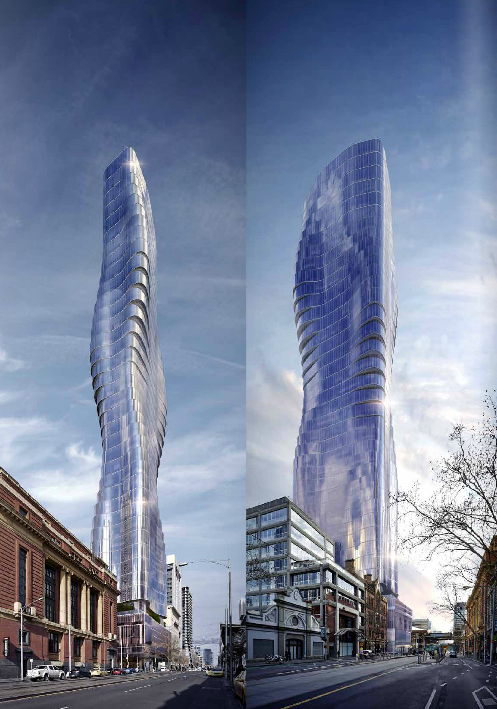 Singapore-listed developer Fragrance Group has won approval for a $350 million residential and hotel complex in downtown Melbourne, after Victorian Planning Minister Richard Wynne cut the tower's height but endorsed its small apartments. 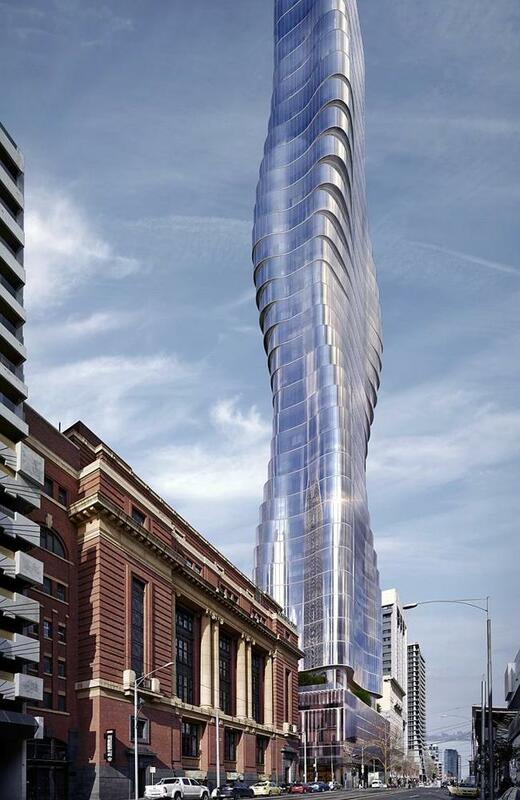 With a distinctive twisted, bulging shape, the 68-storey Elenberg Fraser designed tower is set on one the city's best-known sites, the old Savoy Tavern on Bourke Street opposite Southern Cross station. 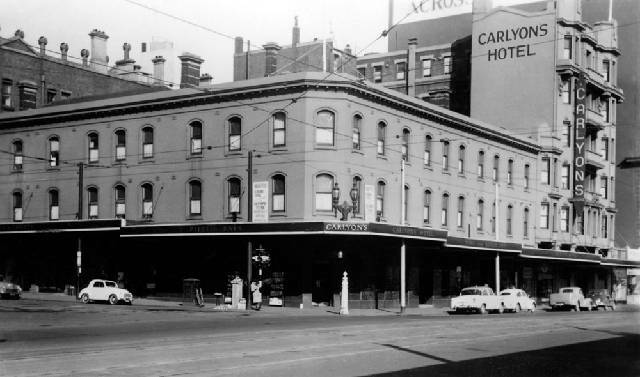 It is one of the city's busiest corners but the site sat derelict for almost 20 years until its owner, businessman Mark Rowsthorn, returned the single-storey 1970s-era brown brick-veneer building to its former use as a pub in March last year. Soon after, Fragrance swooped, snapping up the old pub and its 1800 square metre land parcel for $44.5 million as it quickly put together an Australian-based portfolio. The hotel and ­residential developer is led by executive chairman Koh Wee Meng, once dubbed the Geylang King in recognition of Fragrance's origins in rolling out budget hotels in Singapore's red light district. His brother is Koh Wee Seng who heads Singapore-listed Aspial which has all but sold out Australia 108 – set to be the tallest residential tower in the southern hemisphere and will rise from Southbank, just outside the central business district. 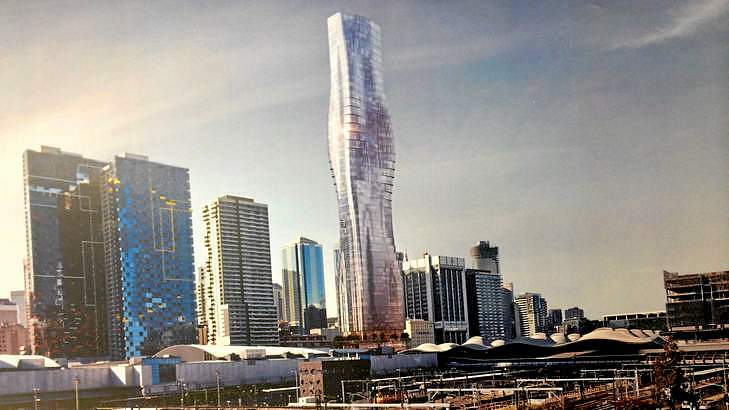 In approving the Fragrance tower, comprising 660 units and 160 hotel rooms, Mr Wynne cut its height down from 294 metres to 226 metres, to make it comply with aviation rules and to prevent it overshadowing the Yarra River. But he has also given a green light to its apartment sizes, with the smallest measuring just 41 square metres, well below the 50 square metres standard in NSW and the same guideline initially proposed in Victoria. Mr Wynne has launched a fresh process to establish apartment standards in the state. He defended the size of the Fragrance units and noted the tower's mix of one, two and three bedroom apartments. "It's not to say that a 40 square metre well-designed apartment cannot be acceptable. You can't be doctrinaire about this. Good design has to be at core of this as does affordability." Happy to hear Wynne being sensible about apartment sizes. Does this mean he may not go ahead with the unreasonable minimum size regulations? I'm not sure he is 100% sure what to do yet. Depends just how much influence each side has in their arguments. One thing is for sure, each building needs to have a higher % of well-designed 2 and 3 bedroom apartments. Too many smaller 1 bedroom apartments are not going to get us far in the future. So according to the permit the height was reduced to comply with the OLS flight path limits - which supposedly can be penetrated. Not sure what's going on here but if it's a case of Wynne unwilling to meddle in the flight path issue or the OLS/PANS-OPS causing more problems than originally thought (crane penetration perhaps?) then every proposal over 230m in the CBD is screwed. This site has been a f**k up for decades. Just get on with it. I thought Wynn had approved this?! And we all rejoiced and gave him the benefit of the doubt, and then this! Grow some balls, mate. Sheesh. The burning question is, why wasn't the permit for this building given the same condition as 38 Freshwater Place that says you can go higher than the OLS limit if you receive written permission from CASA? This has me very worried. It means either Wynne has given up and is now telling developers to comply with CASA or there are more complex problems relating to OLS than initially thought - perhaps due to the proliferation of cranes penetrating the OLS/PANS-OPS. It has been reduced to 226m AHD or only 216m above ground. There are many towers built or approved above the OLS level in Melbourne so I have no idea why that permit condition is there. I would have thought the government has just approved the 216m to be safe until the tower can get approved to rise above the OLS. If not, it makes no sense at all..